Fit Rovers Ladies is Club Doncaster Foundation’s new adult fitness course based at the Keepmoat Stadium, aimed at women over the age of 30, free of charge. After the success of the award-winning health and wellbeing programme - Fit Rovers, Club Doncaster Foundation are delighted to announce the introduction of a female version open for women, over 30 across Doncaster. A series of eight week fitness courses are conducted throughout the year offering excellently delivered sessions and advice to work towards a healthier lifestyle. Unlike big fitness/weight-loss chains that charge you for public weigh-ins and give very little guidance, information at Fit Rovers Ladies is completely confidential, meaning you can keep a track of exactly how you’re doing on a one-to-one basis with the staff. The programme will follow a similar structure to the men’s course: social elements; informal and interactive health workshops; fun andinclusive exercise sessions. 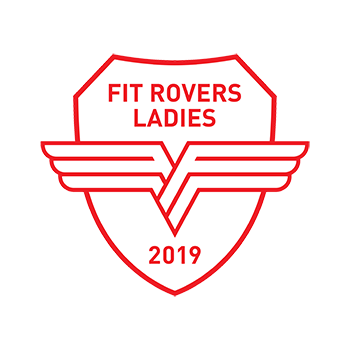 All participants will receive a Fit Rovers Ladies t-shirt and course booklet which has been co-designed by the participants, to help them achieve their individual goals.